A few years ago, I attended a two-week intensive training with Robert Peng at the Omega Institute in Rhinebeck, NY. It was entitled, “Become a Qigong Healer,” and the focus was on learning energetic techniques to enable the student to either add these skills to an existing practice or start a private practice in healing work. Certification was given to each of the forty participants, and the cost of this training was $3,000. The class was a mixture of “newbies” like me, those who were only interested in learning self-cultivation tools, and those who were experienced Practitioners in some form of alternative healing work. To be honest, I was a little wary about working with such a diverse group, especially those who were ironing out some rough lifetimes filled with conflict and challenges. It surprised me when I discovered there was no screening process regarding who could join the class. 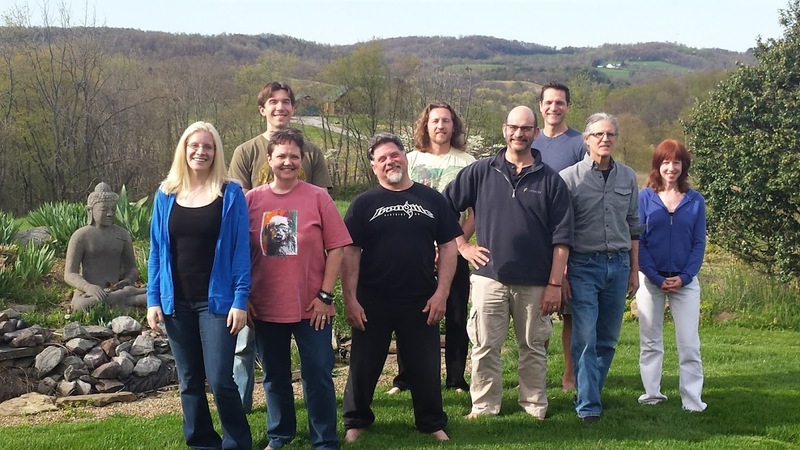 While I learned a great deal from this training, both from Robert who is a wonderful human being with a Master’s energy and from other more experienced students, I soon realized there was much more I needed to learn to be effective in healing work. The best part for me was a personal discovery – I loved doing energy work which felt so natural to me. It’s an exciting field with great potential for helping others and, through this process, healing one’s self. After the course, I started practicing on any willing “guinea pig” I could entice onto my table (free of charge). I also did several remote sessions, another technique we learned in the course. As people shared their experiences, often feeling exactly what I was doing even if they were a thousand miles away, I began to believe in the work. Then, reality sunk in as I hit a brick wall. I began to encounter so many situations where I felt inept and confused. What do you do when you encounter Heat in someone’s stomach? Are you supposed to remove it? Will this cause harm? While we had learned many tools for removing blockages and adding Qi in the Peng workshop, we had not covered anything about the many patterns of Chinese Medicine a Practitioner will encounter like Heat/Cold/Qi Deficiency/Stagnation, etc. I quickly realized that I needed to learn more, so I stopped practicing on other people and enrolled in Dr. Ted Cibik’s three-year Doctor of Medical Qigong training program in Leechburg, PA. My first experience with Dr. Cibik’s facility (called Inner Strength), was a phone conversation where I was pre-screened on my background and intentions. I passed this initial phase and decided to sign up for the prerequisite training weekend called Medical Qigong for Self-Health where I met Dr. Cibik, learned many basics like proper grounding and breathing techniques as well as the Dao Yin practice for purging and strengthening one’s own energies, and passed my second pre-screening phase. When I say I “passed,” there was no official test, but I knew my character and intentions were being assessed to make sure I was doing this for the right reasons and would be a dedicated student. It also gave me a chance to decide if the work was really something I wanted to commit to. I appreciated this form of selection process because all of my fellow students are also serious about their studies, and while every one of us has our “stuff” to work on, we are willing and capable of doing our best in self-cultivation. For me, the self-cultivation aspect of the training is the most important part. As Dr. Cibik often tells us, it is easy to learn techniques and to heal others, but it is much harder to be a good human being. We have also learned how important it is to have a clean vessel, because whatever is inside of you is what you transmit to your client. Many practices don’t teach this at all, but I’ve found it to be a crucial aspect of the work. Through my nearly three years of training, I feel I’ve transformed into a “new and improved” me. I have a solid foundation in the concepts of Chinese Medicine and energetics and have been able to start my own private practice and teach classes in Dao Yin. For me, this class has changed my life, providing me with the tools to reach my own highest potential, to assist others in their own self-healing, and to discover the greatest gift of all – to know myself.